1 | Colorado Springs isn’t the next big thing. It’s the big thing now. Toss your “Keep Colorado Springs Lame” bumper stickers. The state’s second-largest city is now a hotspot for millennial growth, according to the Brookings Institution, and, it’s easy to understand why. With the rise of freelancers who can work from anywhere and contract workers whose primary income comes from the sharing economy, young adults have more choices than ever about where they choose to live. That’s good news for the Springs while once-hip towns such as Boulder price younger people out. Where millennials go, trendy new eateries and spots to grab a brew or a breve latte follow. In the past couple of years, the Springs has welcomed new coffee shops like Loyal Coffee (loyalcoffe.co), breweries, restaurants like Sherpa Garden (sherpagarden.com) and night spots like speakeasy Brooklyn’s on Boulder (brooklynsonboulder.com). Brooklyn’s storefront poses as a haberdashery (complete with a list of tailoring services on its website) but actually serves early 19th-century cocktails—if you know when and where to knock to get in. 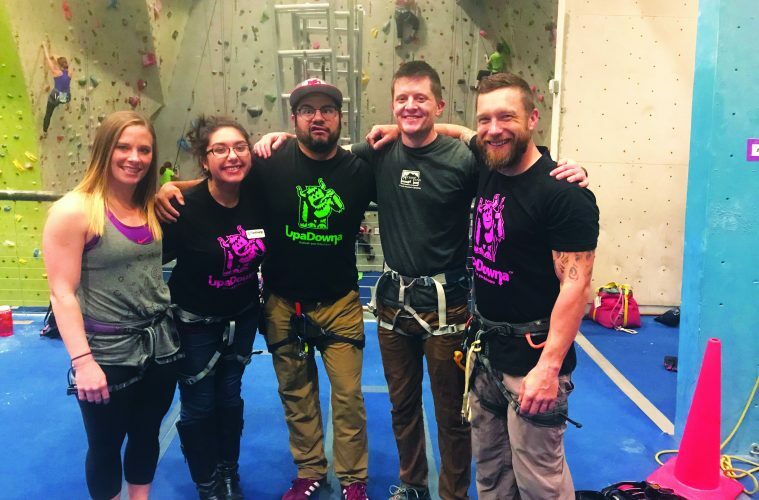 Outdoorsy, community-oriented twentysomethings passionate for meaningful jobs are finding potential in the Springs, says Beka Adair, assistant director of QUAD (quadcos.org), which works to place young adults in employment they care about after college. They’re also finding cheap rent. In the Springs, homes under half a million are the norm, not the exception. The median Springs home price is $263,700, according to Zillow, compared to $366,500 in Fort Collins, $393,900 in Denver, and $691,700 in Boulder. White men in power have been the ones telling their version of the vast majority of history, even though they’re far from the only people to influence it. The Museum of Boulder is working to change that. This spring, after the museum reopens on Broadway and Pine, four times bigger than before, it will launch a campaign to engage the community in researching its lesser-known influencers and adding them to Wikipedia, the world’s largest encyclopedia. Roughly 84 to 92 percent of Wikipedia’s volunteer editors are men, according to a 2011 Wikimedia Foundation study. Women and people of color are underrepresented in entries on the site, too. Check the Museum’s Facebook page (facebook.com/BoulderHistoryMuseum/) for information on upcoming events. As Amazon figures out where to put its HQ2, Coloradans have been weighing the potential pros and cons. On the one hand, if it comes here, that could mean $5 billion and 50,000 jobs. But on the other hand, isn’t Colorado crowded enough as it is? If you look at the numbers, you’ll see a resounding “no.” We’re on the edge of the bottom quarter when it comes to least densely populated states. The 2017 Census estimates just 54 people per square mile here, compared to over 1,000 in New Jersey, the densest. But we do have a lot of room for improvement to outdoor access. Even in Colorado, scores of people don’t live within an easy drive of outdoor recreation. Gov. John Hickenlooper wants the state to create enough trails and green spaces so that every person lives within 10 minutes of one. It’s a lofty goal, and if it sounds good to you, essentially, you have to pay up, says Luis Benitez, director of the state’s Outdoor Recreation Industry Office. People think jobs translate to tax money, which translates to funding for parks and rec, but it’s not so simple. We need a fee structure in place to raise money to support these efforts, he says. “The idea of being able to find the ‘perfect’ outdoor town is pervasive in our culture,” Benitez says, pointing to lists of the “best outdoor towns” published by magazines like this one. But not everyone is willing to stick around through growing pains. People read about a town, move in, soak up the beauty and then pack their skis and climbing shoes when the secret gets out. Instead of staying to fix the problems that come with bigger population, they bolt. “We have to get out of our own way and [move on from] this historical conversation about what our taxes cover,” Benitez says. Income taxes are simply not enough. “Non-consumptive” outdoorists need to be more like hunters and anglers, who pay for licenses and tags, plus additional fees added onto equipment purchases that fund conservation and maintenance of shared resources. But hikers, backpackers, and climbers pay nothing aside from occasional parking and entrance fees, leaving conservation up to motivated volunteers and private funding. We’ve reached a point of density where volunteering isn’t enough, Benitez says, because what we really need to maintain and create parks and trails is more funding. France and New Zealand do this right, he says. They’ve demanded buy-in from hikers to protect the resources that are so essential to their economies. If Colorado can follow in their footsteps, our opportunities for access are endless. The outdoor industry talks a lot about diversity and inclusion at the corporate level. That doesn’t mean individuals are off the hook, though. An inclusive outdoors welcomes people of all backgrounds, inviting them be their authentic selves without having to teach others how to check their biases, according to Elyse Rylander, founder of OUT There Adventures (outthereadventures.org), which runs outdoor programs for queer youth. There, no one fears targeting and no one has to explain the sting of microaggressions. But we are not there yet. “It should be a place where we can focus only on the physical sports we’re doing,” Rylander says. That means it should not be a place where you should have to explain to your hiking buddy why their joke was homophobic or racist or sexist. You shouldn’t have to deal with that emotional exhaustion on top of 6,000 feet of elevation gain. So, folks of privilege, take inventory. Who’s on the trail? Are all the cars at the trailhead expensive and brand-new? That can give you clues about who has access. Get involved with—or donate money to—an organization that gets kids outside. Do independent research on the places you’re hiking and their indigenous history. Go to summits like the LGBTQ Outdoors Summit, hosted by OUT There Adventures, to learn about barriers to entry for the queer community. Get involved with Outdoor Afro (outdoorafro.com), regardless of your race. Follow Instagram accounts that celebrate outdoorists of color, like @melaninbasecamp, @brownpeoplecamping and @unlikelyhikers. In conversations with your peers, talk about gender, race, politics and sexuality. Call out friends who say something that could be offensive to others, even if you think no one with you has taken offense. If you run a company, take the extra time and effort to make sure your applicant pools are diverse. If they’re not, find partner organizations that can help amplify your posting. If you need a practical reason to make this your mission, here’s one that should hit home: Your outdoor access is directly affected by who’s not out there on the trail. If the user base shrinks and fewer people are passionate about public lands, that means fewer votes in defense of it. And that puts precious recreation resources at risk of falling to well funded extraction efforts. Plus, it’s the right thing to do. Sure, it’s easy to order a new jacket from Amazon and have it delivered to your house in two days, saving you a trip to the store. But these days, you’re committing the outdoor equivalent of getting take out from a five-star restaurant by staying home. Gear stores throughout Colorado are transforming themselves from places to buy stuff into basecamps for carpooling to the crag, trip planning and meeting new friends. It’s good for business, too. Take RMU in Breckenridge, for example. There, specialty cocktails and near-nightly events and live music keep customers drooling over gear late into the evening. For RMU, the bar is a year-round solution to selling one-season gear. People come for the music, then chat with employees about packs and skis and, often, come back and buy them the next day. People have favorite bars, operations manager Becca Paiz says, so why not have a favorite shop, too? Colorado brims with stores like this: The Trailhead in Buena Vista, which is half gear shop, half restaurant, Neptune Mountaineering in Boulder, which just added a new cafe. Full Cycle, a bike shop on Pearl Street Mall, now has a full bar and snack and sandwich menu. When the gear shop is also the coffee shop and the pub and the evening entertainment, it becomes the ultimate community hub. You’re entertained, you learn something new, you find a new climbing buddy. Plus, what better way to finally get your significant other into mountain biking than to get them into the bike shop under the guise of happy hour?